Looking for a way to impress your sweetie for Valentine&apos;s? A romantic getaway to Athens, Georgia is just the ticket! We might be in the middle of a chilly winter, but the Classic City is already warming up for another romance packed Valetine&apos;s Day. With an eclectic array of dining options, special events, shopping finds, overnight accommodations and more, the city of Athens strongly stands as the perfect venue to celebrate love for couples of all ages, interests and styles. It would be more of challenge to find something that doesn&apos;t appeal to you and your sweetheart! Couples looking for a unique and memorable dining experience have the exceptionally difficult job of choosing from the many award-winning restaurants this city has to offer. Lovebirds seeking an intimate fine dining experience can enjoy a beautiful prix fix four-course meal from one of Athen&apos;s best, Five & Ten. Owned by award-winning Top Chef judge Hugh Acheson, the special Valentine&apos;s menu is guaranteed to be no short of amazing. At $100 per person, you&apos;ll receive top quality cuisine, unbelievable service and a Valentine&apos;s Day that you will not soon forget. Spend this Valentine&apos;s evening at another Athens favorite, The National. The elegant Mediterranean style food and wine makes for a meal worthy of celebrating your loved one. The four-course pix fix menu by Executive Chef Peter Dale will offer a variety of choices for each course, ending the feast with everyone&apos;s favorite: a decadent dessert. Heirloom Cafe and Fresh Market is offering a trio of Valentine&apos;s options, perfect for any individual! Heirloom&apos;s Singles Awareness Night: Haven&apos;t yet found that special someone? Heirloom has you covered. Kicking off Valentine&apos;s weekend, Heirloom Cafe will host a Singles Awareness Night on Thursday, Feb. 12. With only a $25 cover charge, you can enjoy refreshments and heavy hors-d&apos;oeuvres. There will even be a pinata for you to let off a little anti-Valentine&apos;s steam. Heirloom&apos;s Parent&apos;s Night Out: Want to celebrate Valentine&apos;s Dat but are having trouble finding a babysitter? Heirloom Cafe also has your back. On Friday, Feb. 13, Heirloom is partnering with Arrow to provide the perfect solution for families looking to feel the love this holiday. Early Valentine&apos;s Day Parents&apos; Night Out will give parents the option to make reservations for a gorgeous meal at Heirloom Cafe while their children enjoy a meal and playtime at Arrow. At $45 per person, this certainly makes for one of the best Valetine&apos;s values Athens can offer! Heirloom&apos;s Valentine&apos;s Day Dinner: Heirloom Cafe will also host a traditional Valentine&apos;s Day Dinner for couples looking to for an exquisite prix fix dinner on Feb. 14. The beautiful Graduate Athens is once again offering a two-night package for couples looking to spend a romantic weekend in the Classic City. This package makes the recipe for a perfect weekend including a dinner for two and tickets to see Francine Reed & Java Monkey at The Foundry. Grab your loved one and book this getaway to instantly elevate your plans for that special day. 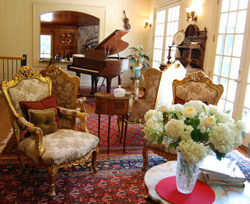 The breathtaking Colonels Bed and Breakfast is also offering their signature romance package this Valentine&apos;s weekend. This truly divine experience includes champagne or Belgian beer, fresh flowers, candlelight and fine snacks. Enjoy an intimate breakfast with your sweetheart off the finest Wedgewood china, Bohemian crystal and and French Chateau silverware. This cozy yet romantic atmosphere will add a palpable romantic ambiance to your Valentine&apos;s weekend. These are only a small sample of the many romantic adventures that await you in Athens! 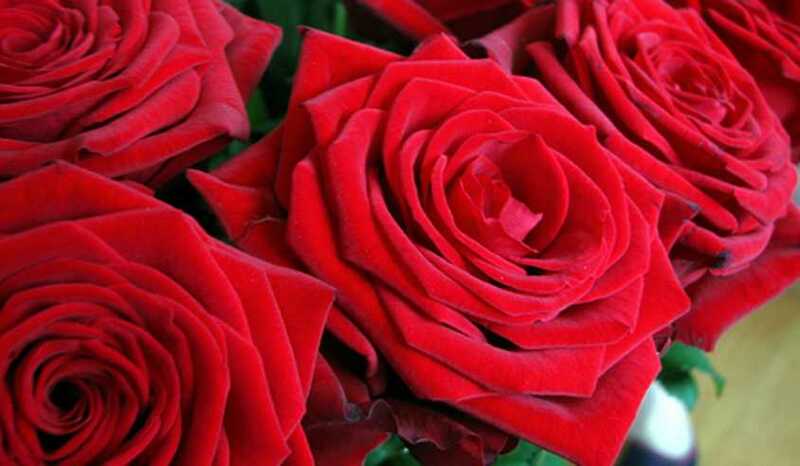 Many more Valentine&apos;s festivities are planned through the month of February. Make sure you check out the all the available options to celebrate love and life in the Classic City.